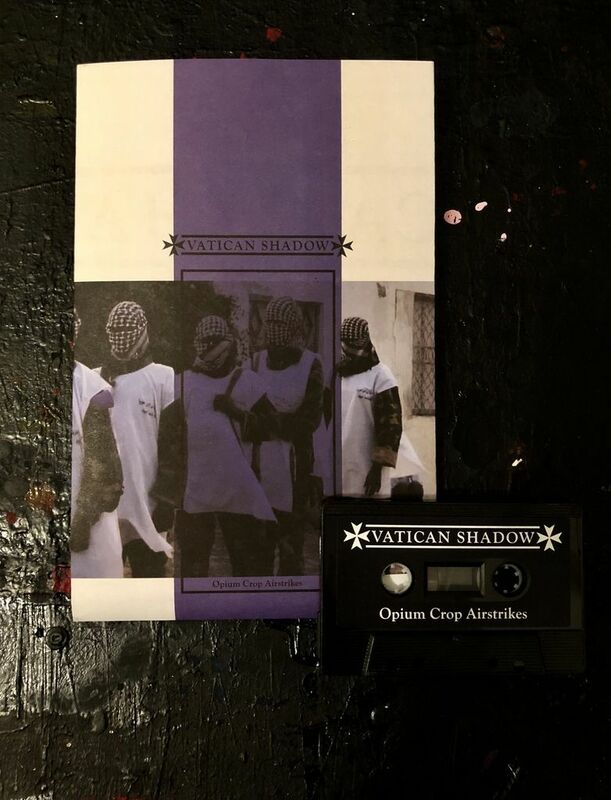 Vatican Shadow Opium Crop Airstrikes cassette in oversized package with foldout poster. 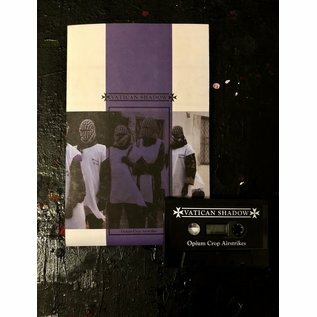 On this release, we see Vaitcan Shadow doing long form industrial tracks in the style known from Jordanian Descent. A healthy portion of the proceeds go to AYOK Civil Society Volunteer Organization for Earthquake Relief in rural Mexico.